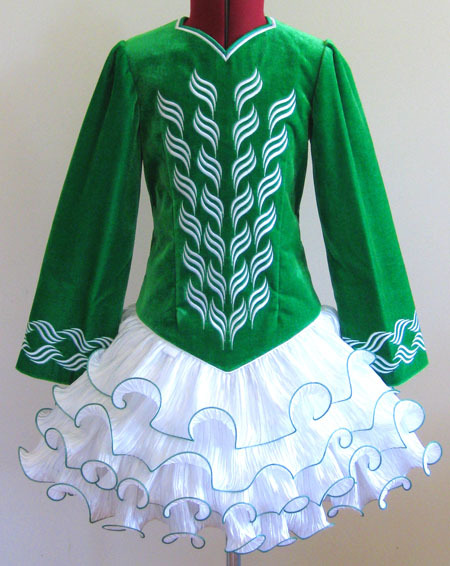 Vibrant emerald green lightweight velvet bodice and sleeves, with white feminine embroidery design. 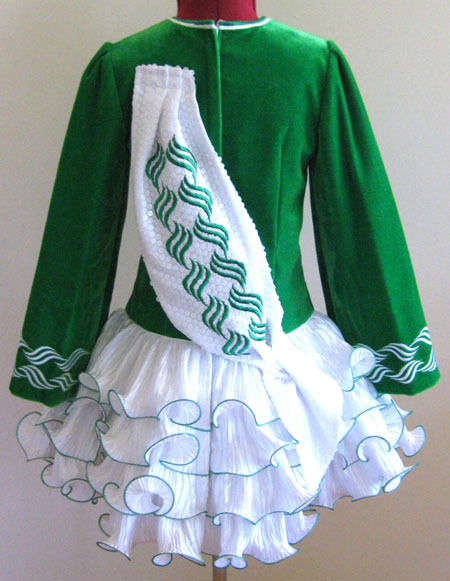 Pretty white pleated satin cupcake skirt ruffles with emerald green trim. Shawl constructed from sparkly white sequin with matching emerald green embroidery design. 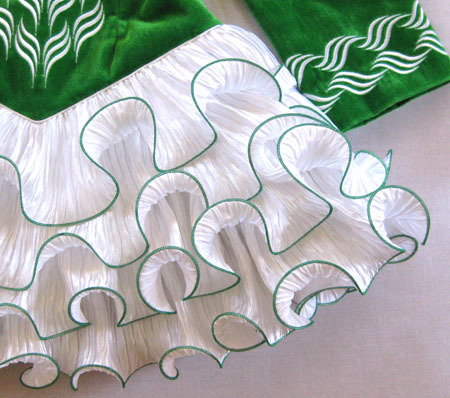 Green and white striped skirt lining.